Prepare the minced meat is very simple, if you have a meat grinder, and do not have electric. What is it for? It is used as a separate dish and as a filling. 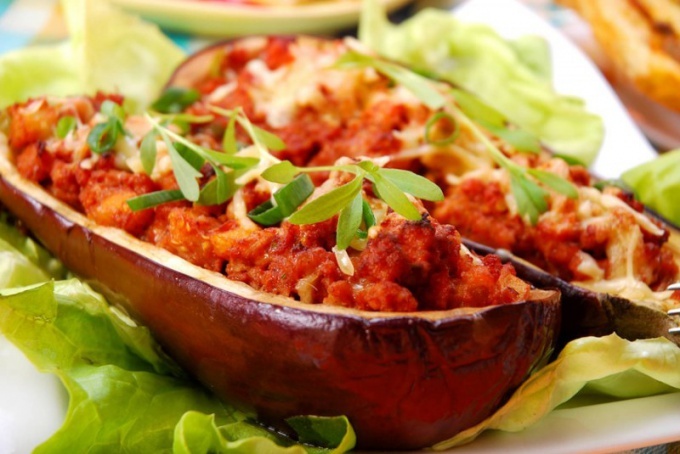 For stuffing perfect a variety of vegetables and even fruits (exotic dishes). Below we look at some of the recipes that you will learn how to prepare beef cutlets for yourself. Skip the meat through a meat grinder. Soak bread in milk, chop the onion and add to received after the grinder mixture. Salt and pepper the meat. Chop the garlic, add to the mixture and mix thoroughly. Minced is best to mix by hand, so it will be more juicy and soft. Add the egg and just mix thoroughly. Form of minced meat cutlets, roll them in flour and fry in a pan until cooked meat. So the burgers were soft and airy, after steam roasting them in a water bath. The minced meat is not only suitable for the manufacture of cutlets and meatballs, pan-fried, or boiled in soup meatballs. There are dozens of dishes from minced meat, cooked in the oven. Stuffed vegetables is a great way without gaining fat necessary to combine proteins with useful carbohydrates, and prepare a fragrant and tasty dish. 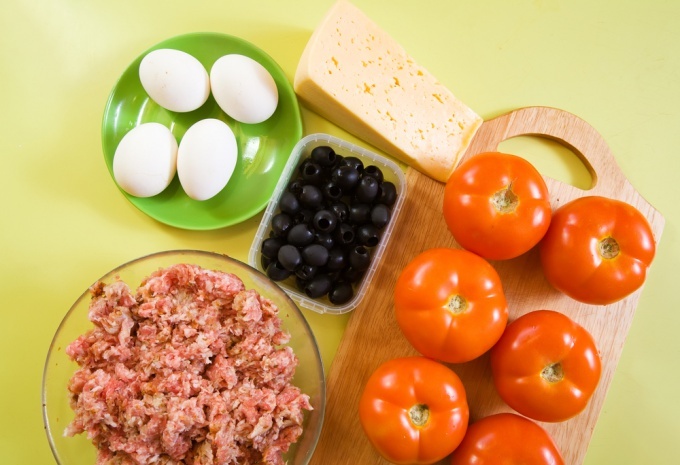 Most often minced meat used as a filling for peppers, eggplant, zucchini, pumpkin, but besides them for stuffing is quite suitable, and potatoes, and large fleshy tomatoes. To the mince add cereals, pieces of vegetables, spices and aromatic herbs, rich sauces, sliced mushrooms, grated cheese and other ingredients. Fill with meat stuffing and some fruits, for example, a strong sour apples or quince. Preheat oven to 200oC. Peel the onions and cut into small dice. Sauté it in hot olive oil until transparent, add the chopped garlic and rosemary leaves. Fry until the garlic will not emit a noticeable fragrance. Meanwhile, slice the tomato cubes and add to the other vegetables. Season with salt and black pepper, cook until a thick sauce. Remove from the heat and cool. Stir in mince and breadcrumbs. Peppers, cut lengthwise, remove the stalk, seeds and jumpers. Rinse under running water, dry and fill with stuffing. Put in a baking dish, sprinkle with grated cheese and bake for 30-35 minutes. Juicy and tasty variety of rolls and terrines minced meat. In the middle of the rolls often put toppings – sauteed mushrooms, slices of bell pepper, spinach. One of the most popular additives – boiled eggs. Terrines – minced meat mixed with various additives, baked in the oven and sliced. In terrines put not only various vegetables, but also nuts, dried fruit, pieces of diced meat or liver, creating not only an interesting flavor but interesting texture. Preheat the oven to 170оС. In a large heavy skillet melt the butter and saute the onion until transparent. Grate the carrots on a fine grater and chop the celery, add the garlic to the onions and cook, stirring, about 5 minutes. Season with salt and pepper, let cool and mix with minced meat, adding half of the measured ketchup, and slightly beaten eggs and bread crumbs. Put the mass into a rectangular shape for cupcakes or just form a "loaf", brush top with remaining ketchup and bake for an hour. Remove from the oven, allow to rest 10 minutes under foil and serve. Meat breads, rolls and terrines can be served both hot and cold. With ground meat you can cook many casseroles. Among them are the famous Italian lasagna, and a variety of French gratine with meat layer. Mince and put in a variety of closed pies and cakes. In the filling you can add not only a popular fried onions, herbs and spices, but less usual for this type of food ingredients – raisins, slices of sour apples and cinnamon, rum and even powdered sugar. All meat lovers will certainly appreciate this original and unusual recipe. How nice to treat yourself to a peach when you can do it yourself, and even meat. bread crumbs, salt, spices for meat. Put the mixed minced meat into a deep bowl, add the spices to the meat, a pinch of salt, grated garlic, chopped herbs and beat in an egg. Knead meat mass (preferably with hands) until smooth. To form small patties the size of 4-5 cm Fry until tender in oil in a pan on both sides. Spread in a separate plate to cool. Pre-cooked and cooled potatoes, remove skin and finely grate in a deep bowl. To connect with it malcontenti cheese, salt and egg, mix well. Then add a spoonful of flour and again knead. Divide potato mixture into two equal parts (you can eye, and for greater accuracy can be extinct on the scales). One potato piece to add ground saffron and the other paprika. Put both the potato mass, as a result, each of them will acquire a different color. Now we need to make equal number of small tortillas out of each half of potato dough. The size of pellets must be such that it is fried chop, and their number must equal the number of cutlets. To put the whole design in this way: bread with the same dough, meat Patty, cake with another test. Carefully close up the Patty these scones, you get a two-tone bun. To make skewer each bun a groove in the middle like a regular peach. 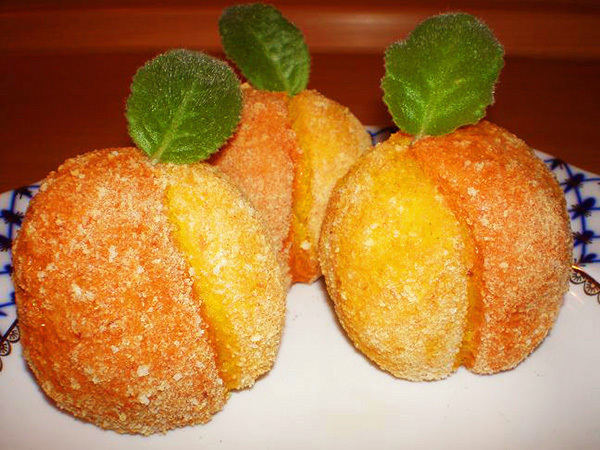 Cover "peaches" with egg white and sprinkle with breadcrumbs. Spread into a baking pan and bake in the oven for 20 minutes at 180 degrees. As a garnish to a dish you can make cuts of fresh cucumbers and tomatoes.